Students requests songs online before the party. This helps build hype for your dance, while students anticipate having their songs played. All music we have in our computerized libraries are radio approved versions of the top dance music. Your Homecoming DJ will play the right music at the right time! Now your committee can organize all the details online months before your dance. Your party planner is in a password secure area that helps with the itinerary time-line as well as music requests. From the music area, you can search, move, and select songs as IMPORTANT and AVOID. We have over 20,000 songs that you can browse. For any special requests that can not be found, there is an area where you can type in the request, and we will purchase it so that it is available before your party. What theme is your Prom? Do you have any colors that you want to highlight during your high school dance? Our accent lighting is computerized and is customized to give your dance the visual cues you need. Did you know that we adjust the lighting to have it blend with any color? Your dance floor and wall lighting will make for one high energy event! During events we sometimes take some pictures of guests enjoying themselves on the dance floor. Some of these photos might eventually make it to our website. How cool would it be to see photos of you and your friends having an awesome time at your school dance. You better bet we will take a bunch of caption worthy photos. It’s up to you to decide which ones are your favorites! As you can see, we have the tools necessary to ensure that your biggest dance for the social year is a giant success. A more recent addition to our company are photo booth rentals. Strike your pose and capture the moment in style with our color changing design. 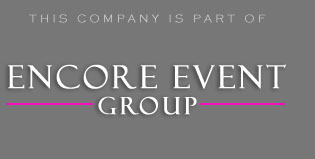 So why trust Encore for your next formal dance? Other school districts that trust us for their formal events include bigger cities such as Flint and Commerce Township, and your smaller areas like Dryden, and Oscoda. We are also an approved vendor for East Pointe School District. If you would like we can provide references, however we do have limited availability. Please contact us here or call 877.643.8368 if you are looking for the THE BEST TALENT, BEST OPTIONS, AND BEST PACKAGES.